Global Scientific Research Journal of Fever is a peer reviewed, open access, multidisciplinary, academic journal that publishes papers of the highest quality and importance in all disciplines of Fever and Infectious Diseases. The Open Access Journal covers research in the Virus Research, Virus Genes, and Advances in Virus Research, Virus Adaptation and Treatment, Influenza Viruses. 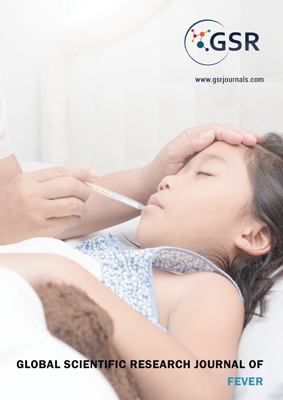 GSR Journal of Fever also covers, the differential diagnosis of fever in the tropical world has to include Rickettsial diseases, apart from usual malaria, dengue, enteric fever, leptospirosis, and viral hemorrhagic fevers.